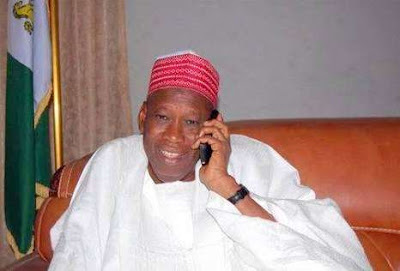 Umar Ganduje, refuses to stop adorning red coloured caps. state governor saying he has betrayed the movement and is no longer a member. hence deserved to be disowned. sum of N1m to remove his cap and he failed to do so. will drag him to court. We hope our apology would be accepted,” Gwammaja said. over ideals and position of state affairs.